At UC San Diego’s School of Global Policy and Strategy (GPS), students become masters of quantitative research methods. When an opportunity to work in big data or in the emerging big geodata comes calling, you answer it. 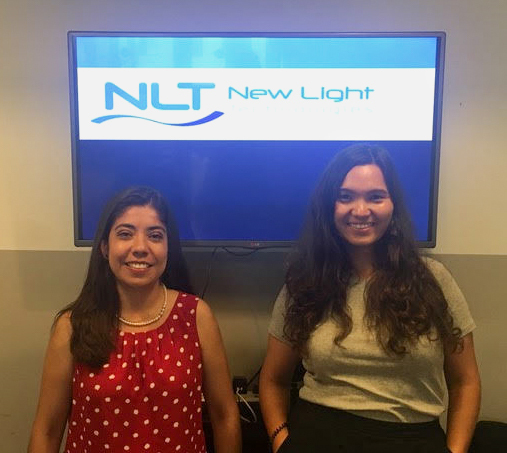 In conjunction with New Light Technologies, two recent graduates had the opportunity to combine their passion for technology with Geographic Information Systems (GIS) in Washington, D.C. this summer. Gaining hands-on experience to understand spatial patterns, the project links remote sensing, big data, climate and economic development, all while working with state-of-the-art analytical tools. As a requirement, interns must have completed courses in GIS and Spatial Data Analysis and/or Advanced GIS and Remote Sensing, taught by former GPS lecturer and New Light Technologies senior researcher Ran Goldblatt. He highlights this as an advantage — students having been exposed not only to policy but also to qualitative research methods. In the ten-week program, Kozhakhmetova and Luna will have the opportunity to assist in all stages of the research, including data collection, data preparation and analysis, from sources such as the Federal Emergency Management Agency (FEMA) and the U.S. Census Bureau. These real-world experiences in governmental and international agencies has proven invaluable. 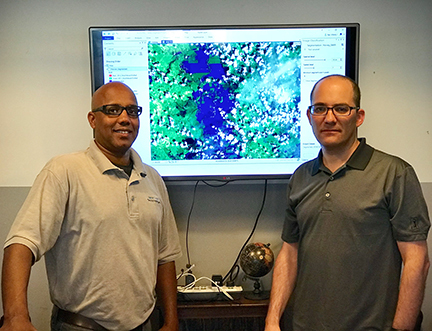 As leading consultants to the government, New Light Technologies has provided services to FEMA for 12 years, including using satellite data to help them with disaster operations. Clients also include the World Bank and the Census Bureau of Statistics, among others. From July through September, Kozhakhmetova and Luna will look at how hurricanes disrupt local economic activity in the short-run as well as how storm-related damage affects regions’ growth trajectory in the long-run. Implementing what they learned in class, the project will allow graduates the opportunity to understand remote sensing analysis as it applies to the growing industry of big data. From defining recovery to natural disaster response and mitigation, the project will utilize lessons learned in GIS and Spatial Analysis taught by Professor Gordon McCord. One of the biggest barriers in econometrics and impact evaluation is how to understand and identify potential bias coming from patterns. For natural disasters, these are highly correlated with spatial patterns. During the project, Kozhakhmetova and Luna search for and download relevant data from multiple sources, write and run codes in Google Earth Engine or Stata and create maps and panel data that allow them to analyze the economic characteristics of vulnerable areas and flood prone regions. Utilizing information about hurricane patterns from FEMA and census data, another project goal will be to collect and put together labor data using Longitudinal Employer-Household Dynamics (LEHD). Since labor and its changes is another potential way to measure changes in economic activity, this can help address the impacts of natural disasters. Using their GPS toolkit, the project so far has allowed Kozhakhmetova and Luna to hone in on their career endeavors, with hopes to stay in GIS and big data fields. With so many applications in the modern world, the internship program hopes to start small and grow over the coming years, exploring our world at scale.